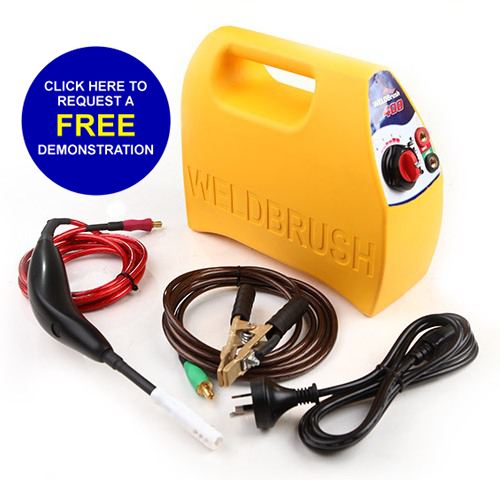 The WeldBrush WB400 is affordable for professionals and hobbyists alike. Presentation is everything and this will make any welding job look great. Whether you are welding stainless steel, brass or bronze, the WB400 WeldBrush will scrub out any heat tints from TIG, MIG and spark welded jobs. It can also electro-polish, mark, or brush electro-plate any of those same materials. The WB400 is capable of such achievements mainly due to its patented Sliding Shroud. This piece sets the WeldBrush apart from the rest and is designed for accuracy. Tight and awkward angles are easily accessible and you won’t have to worry about any electrolyte or neutraliser splash damage. With a keen eye and steady hand, every part of your welding job will have that precise and deliberate appeal that will assert its stability to all onlookers.